The fourth and penultimate round of the Malaysia MiniGP Members Championship concluded with a bang! During the Malaysian GP weekend in Sepang. 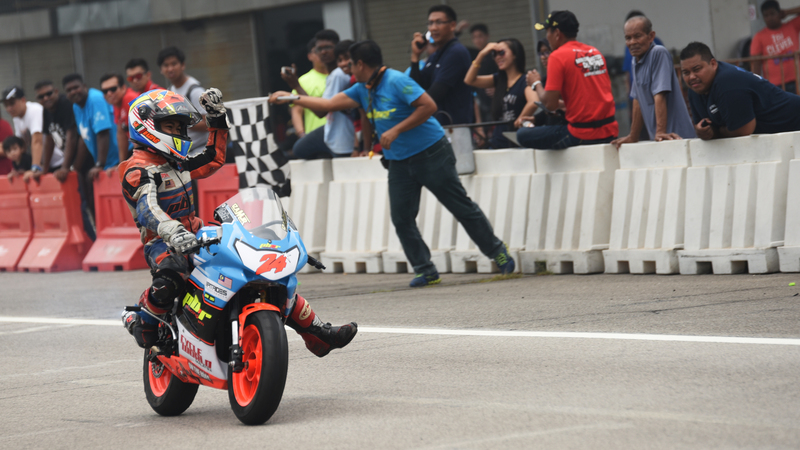 Although the battle for the title officially ended with Reffy Kamar securing the first crown, but it was Izam Ikmal; the young rider of PB2R racing that got most of the attention. 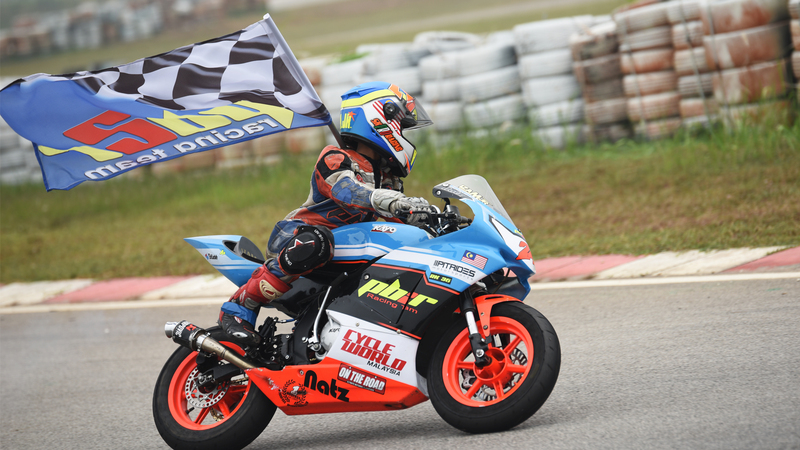 The 13 year old rider from Kuala Lumpur completed both race 1 and race 2 in first position and collected a maximum 50 points for his championship run after a disappointing outing in the second round of the series. The Asia talent cup bound rider had shown a great potential all season and confirmed it solidly on Saturday by giving an amazing performance for the spectators. Izam Ikmal will be looking to further strengthen his position in the championship on the final round in November; to be alongside his mentor on the overall standing. Meanwhile, on the standard category; it was Zulhilmi Yazid who was dominating the fourth round by grabbing two first position finishes and grabbing the full points from the Sepang round. Mohd Emy, the title contender in the standard category had to settle with only an average performance after some small crashes and struggling the whole race day to get into form. The new man on the championship, Zhafir Zarkasha gave the rest of the grid on the standard category a huge challenge as he finishes on the podium in his first ever race of the series. He won’t be a title contender for the championship but he certainly will bring more competitiveness to the grid. Muhammad Rashidi finally secure his first podium finishes and further strengthening his position on the overall standard championship after a long struggle and bad luck in the championship. As the series approaching to an end, all the riders are looking to give their very best to complete the first season of Malaysia MiniGP Members Championship. Talks between the team and riders in the paddock has started about how they are going to approach for the 2016 season and surely it will be interesting to look out for. More stories shall develop in the coming months and we will bring you more of it as soon as possible.